When mango season is in full swing, I love making various mango recipes, to use up all the boxes mangoes that I have bought! I can’t help my self, I love mangoes! Then I need to get creative to use up all the fruit that I bought. I even make a sweet Mango Chili Sauce. Mangoes are known as the King of Fruits and have been enjoyed for over 6000 years. They originated in South Asia, and are used in a wide varieties of cuisines from drinks to ice creams to salads. What Goes Good With Mango Salsa? You might never had tried or even hear of Mango Salsa before. 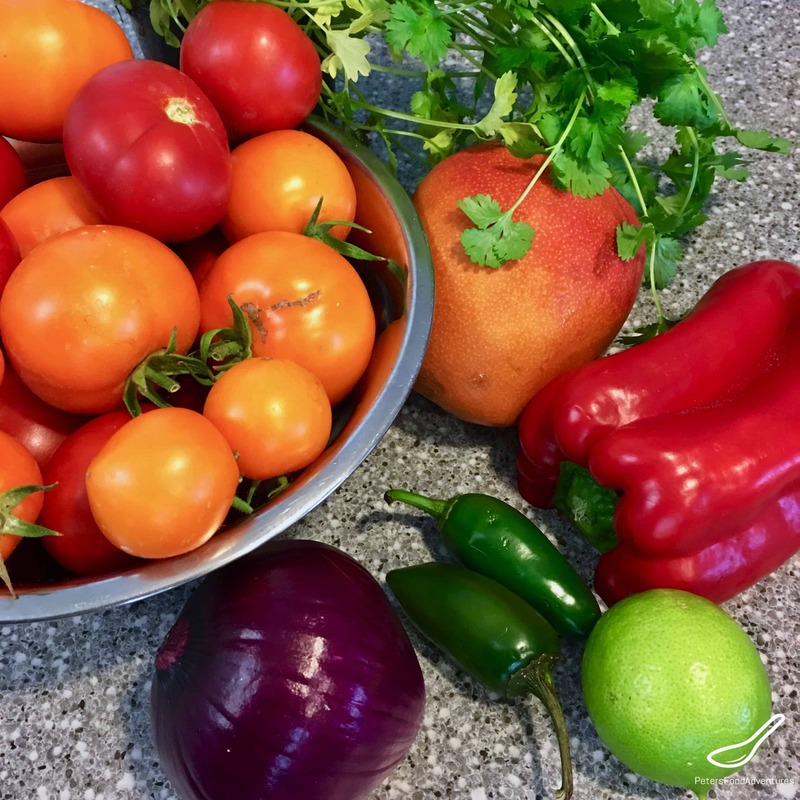 This recipe is so easy to make, and the perfect summer salsa to eat with grilled fish or chicken. Just grill them and spoon the salsa on top, it tastes amazing. You can use it as a traditional dip for nacho chips. Use it inside tacos, or even with on a chicken burger. So many reasons to make this Mango Salsa recipe. Ripe mangoes will add the nicest flavor and sweetness to this snack. If your mangoes are green, you will need to add a teaspoon of sugar. It might sound strange, but tart mangoes will ruin this salsa. Remember to taste and adjust if necessary. You control the heat in this Mango Salsa recipe. The jalapeños add a nice spicy kick, but are a milder chili pepper. If you like spicer salsa, try adding Habanero Peppers. For a more pickled salsa flavor, add the apple cider vinegar. I love this mango salsa, it makes a delicious and healthy snack, perfect as a Super Bowl appetizer! This Mango Salsa Recipe is a different take on regular tomato salsa, with a tropical twist! Bon Appetit! Приятного аппетита! 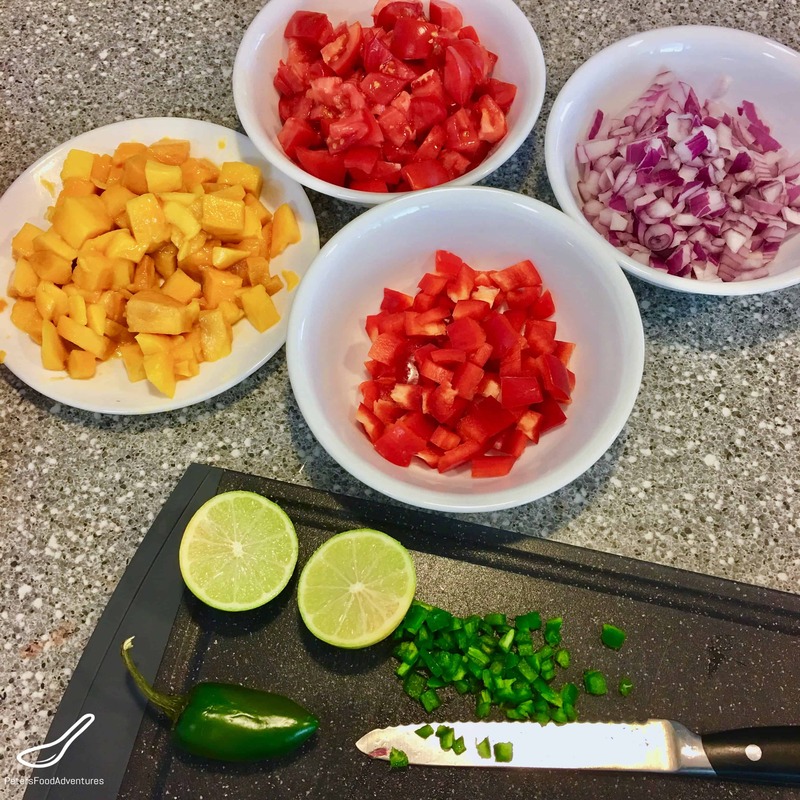 Fresh Mango Salsa Recipe - Easy and delicious, sweet, tangy and spicy. The perfect salsa dip snack with nachos for Super Bowl, or simply on top of grilled chicken or fish. Colorful, healthy, and fun-looking recipe! Thanks! It’s fun to eat colourful food! ??? ?